Telangana State Public Service Commission (TSPSC) released the merit list for Teacher Recruitment Test (TRT) 2017. TSPSC TRT 2017-18 is for a total of 8792 vacancies. There are 1941, 416, 9, 1011, 5415 vacancies for School Assistant, Physical Education Teacher, School Assistant (Physical Education), Language Pandit, Secondary Grade Teacher respectively. In fact, it is for the first time that the Commission is holding the Teacher Recruitment Test in the state of Telangana. All eligible candidates could apply in time before the last date. The TSPSC TRT 2017 held from February 24, 2018, to March 04, 2018. Know here all about TSPSC TRT 2017 such as eligibility criteria, application form, exam pattern, syllabus, admit card, result. Latest: The Result for the post of Secondary Grade Teacher (Telugu Medium) No.53/2017 for Telugu released, check the same from “Result” page link in the quick link box. TSPSC is going to conduct Teacher Recruitment Test for 8792 vacancies from February 24, 2018. You could apply as per schedule. First, note all the important dates of TSPSC TRT 2017 from here. First, let us look at the vacancies. There is a total of 8792 vacancies. The breakup of vacancies post-wise is as follows. District-wise distribution of vacancies is also available. Since it is extensive, it is better to download that part of the notifications that contain vacancy details to look at them. Please find the links of district wise vacancies here. You will see that Annexure I in each notification contains vacancy distribution for each of the districts namely Adilabad, Mancherial, Nirmal, Komrambheem (Asifabad), Karimnagar, Jagitial, Peddapalli, Rajanna (Siricilla), Nizamabad, Kamareddy, Warangal (urban), Warangal (rural), Jayashankar (Bhupallapalli), Jangoan, Mahabubabad, Khammam, Bhadradri (Kothagudem), Medak, Sangareddy, Siddipet, Mahabubnagar, Wanaparthy, Nagarkurnool, Jogulamba (Gadwal), Nalgonda, Suryapet, Yadadri (Bhongiri), Vikarabad, Medchal – Malkajgiri, Rangareddy, Hyderabad. Now that you are aware of the vacancies, next thing to know of is the eligibility criteria. For the advertised posts, the pay scale is available. Check scale of pay as follows. 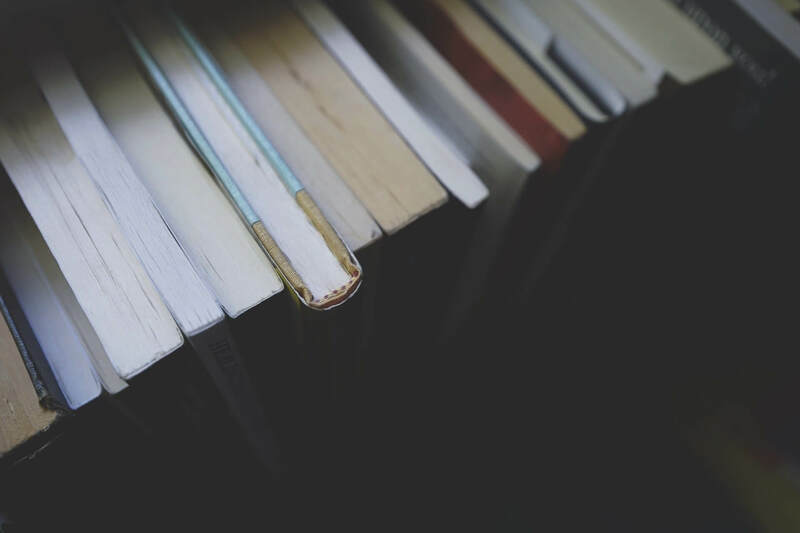 By eligibility criteria, we mean the required qualifications one must have. Only if you fulfill the officially stated TSPSC TRT 2017 Eligibility Criteria you can be eligible for recruitment. Here, the first point of concern is your age. Since there is age limit, both upper and lower, check them in the first place. Telangana State Government Employees get relaxation of 5 years based on length of regular service. Ex-Servicemen get 3 years and length of service rendered in armed forces as age relaxation. NCC (who have worked as instructor in NCC) have 3 years and length of service rendered in NCC as age relaxation. SC, ST, BC have 5 years of age relaxation. Physically handicapped persons have 10 years of age relaxation. However, this is only for TRT SA, TRT SGT, TRT LP. Simultaneously with age limit, you should have required educational qualification. If you are applying for either School Assistant, or Language Pandit, or Secondary Grade Teacher, then your score of TET (Teacher Eligibility Test) are also important. 80% weightage shall be for TRT score and 20% to TET score (read more on it in result section). In addition, qualifying marks of TET will be as follows. Please note that here we refer to Andhra Pradesh Teacher Eligibility Test (APTET) / Telangana Teacher Eligibility Test (TSTET) / Central Teacher Eligibility Test (CTET). Now that you are aware of the eligibility conditions, you are prepared to apply. Thus we next talk about TSPSC Teacher Recruitment Test 2017 Application Form. First of all, know that TSPSC TRT 2017 Application Form is in online mode. 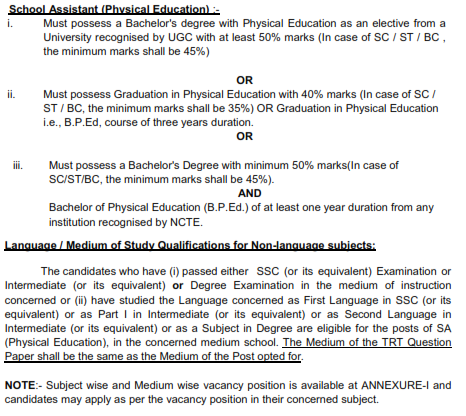 You will go to tspsc.gov.in to fill online application form. A user guide is there for ready reference on filling form. What is the application fee for TSPSC TRT 2017? Please note that there are 2 components to the fees. One is an application processing fee, which is Rs 200. Other is examination fee. You can pay the application fee to participate in TSPSC TRT 2017 through SBI ePay. Please note that you need to submit TSPSC ID, date of birth, and other details first. Also that this fee amount is non-refundable. 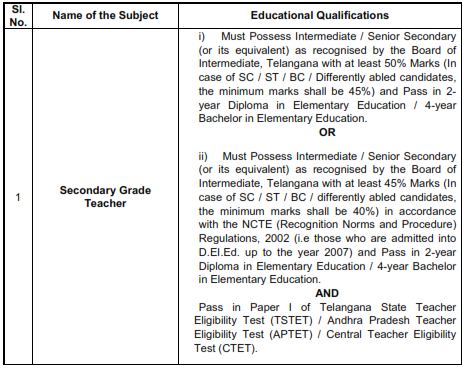 How to fill TSPSC TRT Online Application Form 2017? You will read User Guide at the official website to understand online submission of application forms. Only then you will proceed further. You will firstly visit the website tspsc.gov.in. Fill details in the application form as per instructions of TSPSC TRT 2017. In this process, confirm that you enter only correct and verifiable details. Please note that there should be no error or mismatch in data. If at all there is any mistake, then TSPSC does not take responsibility for it. It is important to realize that Telangana State Public Service Commission will not accept an application form that is handwritten/typed / Photostat copies / outside printed form. Examination pattern of TSPSC TRT 2017 indicates subject, syllabus, number of questions, marks. This data is helpful in preparing for the Teacher Recruitment Test. With this mind, check here TSPSC TRT 2017 exam pattern given below. TSPSC has notified syllabus for TSPSC TRT 2017. Syllabus is different for each post. 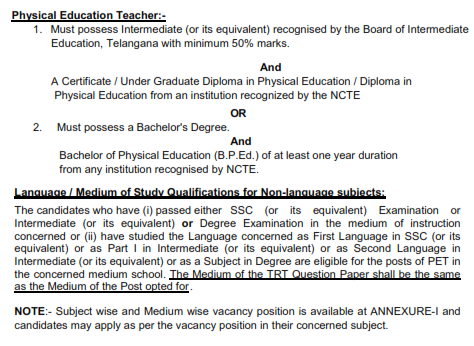 If you are applying for TSPSC TRT 2017 SA, then check TSPSC TRT 2017 School Assistant Syllabus; or if you are applying for TSPSC TRT 2017 PE, then check TSPSC TRT 2017 Physical Education Teacher Syllabus; likewise if you are applying for TSPSC TRT 2017 SA PE, then check TSPSC TRT 2017 School Assistant Physical Education Syllabus; if you are applying for TSPSC TRT 2017 LP, then check TSPSC TRT 2017 Language Pandit Syllabus; if you are applying for TSPSC TRT 2017 SGT, then check TSPSC TRT 2017 Secondary Grade Teacher Syllabus.